Yoga Instructor here at PPK Philadelphia. Organizer and leader of the Friday night acro jams! aka Bboy Moose, 37, was born in Manhattan, Kansas (The Little Apple). He recently earned his Ph.D in Dance at the Boyer College of Music and Dance at Temple University in December, 2018. YOU CAN ACHIEVE THE IMPOSSIBLEI am an advanced balance coach for TIGHTWIRE. Owner - Mystery Circus Arts LLC. 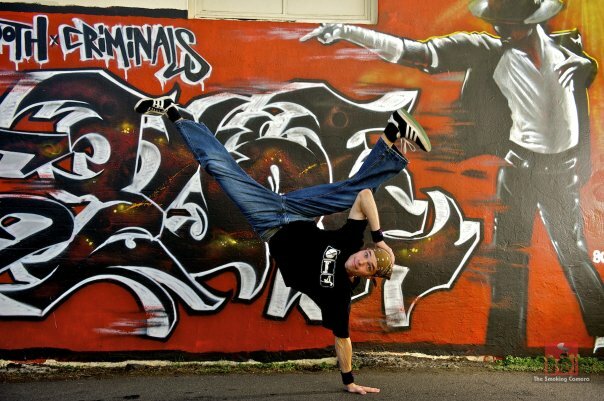 In this 8-week course, learn urban/street dance styles from choreographer, performer and dance instructor Dr. David Heller (aka B-boy Moose). Dance styles include elements of breaking, popping, tutting, locking, and commercial hip- hop. No previous dance experience required. In addition, participants will have the opportunity to incorporate their individual acrobatic skills learned from parkour and/or tricking. With the Philadelphia Mural Arts Program.